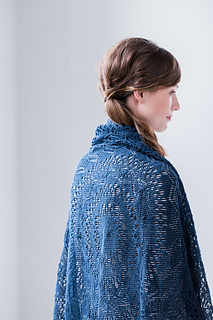 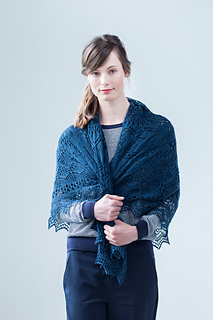 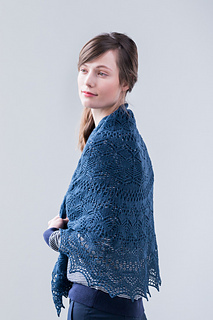 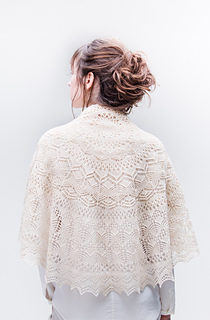 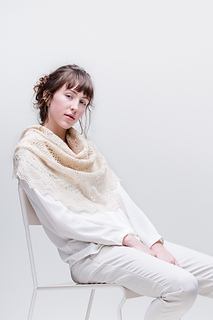 The ethereal geometry of this heirloom pi shawl conjures stars wheeling overhead and trees reflected in water. 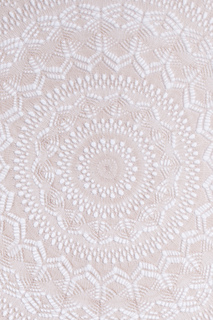 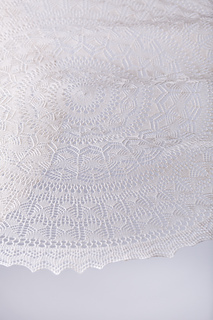 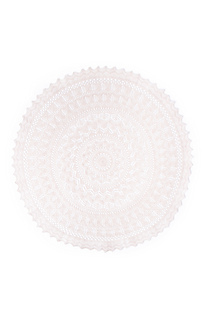 Worked in Vale, it makes a beautiful throw to display in your home or an exquisite shawl for dressy occasions. 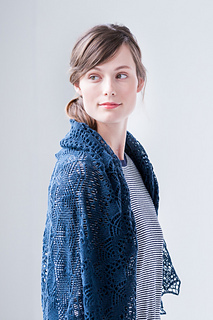 Lucca is a meditative knit, with each successive ring bringing a new pattern to freshen your interest. 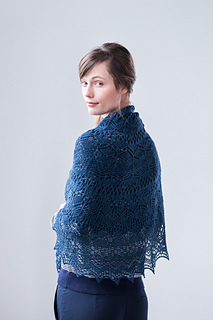 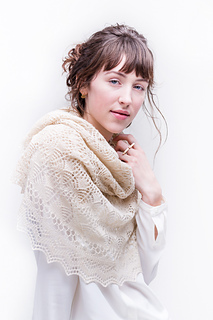 Note: Finished width of repeat will vary once shawl is blocked into circular shape. 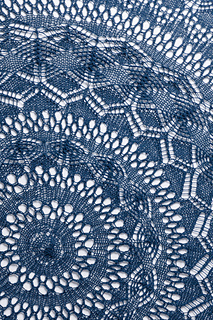 32” circular needle can be used instead of DPNs if using the Magic Loop method for working small circumferences in the round (i.e., the center of the shawl). 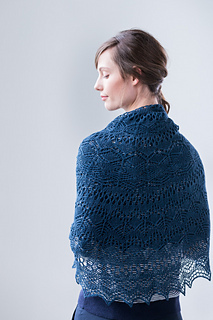 If using only circular needles for knitting the shawl, you will require one spare DPN for working attached edging.